The Pentagon is reportedly reviewing and updating its contingency plans for a war with Russia for the first time since the collapse of the Soviet Union, with a defense official telling US media that Russia's “actions” prompted the assessment. According to Michèle Flournoy, a former undersecretary of defense for policy and co-founder of the Center for a New American Security, the move was prompted by the Ukraine situation. Moscow, however, has repeatedly denied having a role in the Ukraine conflict, despite accusations by Kiev and its Western backers that it has supported the rebelling eastern Ukrainian regions of Donetsk and Lugansk with weapons and manpower. 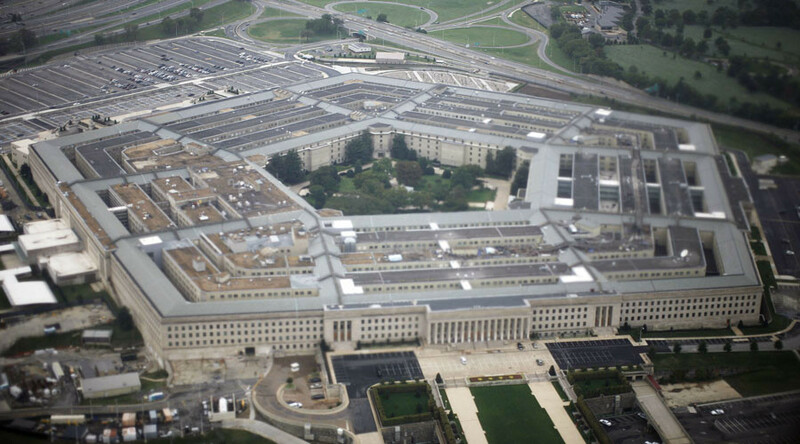 Although the Department of Defense generates contingency plans continuously, the move is significant because it marks the first time since the fall of the Soviet Union in 1991 that Washington has revisited plans for a potential armed conflict with Moscow. According to a senior defense official, the new plans focus on hypothetic Russian incursions into the Baltics and have two parts: one focuses on what the US can do as part of NATO if Russia chooses to attack a member state, while the other considers US action independent of NATO. But President Putin told Italian media in June that such “scaremongering” should not be taken seriously, adding that Russia's military is “not global, offensive, or aggressive,” and that it has “virtually no bases abroad.” He added that the few that do exist abroad are remnants of its Soviet past. The report comes as US and Russian officials agreed on Friday to discuss each other's involvement in the Syrian conflict, marking the first time the two ministries have spoken since last August, as relations between Moscow and Washington remain soured by the Ukraine conflict. The US is taking part in a coalition bombing campaign against Islamic State (IS, formerly ISIS/ISIL), while Russia has begun providing military equipment for use by Syrian forces. But while the US apparently views Russia as a threat, Moscow says NATO and its "eastward expansion" is the real cause for concern. Russian Prime Minister Dmitry Medvedev stated earlier this month that Russia may soon create more Air Force facilities in neighboring countries. In July, Russia amended its Maritime Doctrine as a response to NATO's growing presence in Eastern Europe. Deputy Prime Minister Dmitry Rogozin said the new doctrine, which focuses on Russia's naval presence in Crimea and the Arctic, was due to “the changes of international affairs” and the consolidation of Russia as a maritime power. Last month, the Russian Foreign Ministry said increasing troop presence at Russia's borders is being done to achieve “dominance” in Europe. The ministry added that the military buildup is “counter-productive” and serves as a “financial burden” for member states, as it “distracts” the alliance from dealing with other threats. Both Russia and NATO have been staging military drills, with each side closely watching the other. That effort was met by Russia earlier this week, when more than 95,000 troops belonging to Russia and its regional allies launched the annual Center exercises that span from the Volga to Siberia. The large-scale drills were the biggest Russia has seen since the Cold War.